The Victorian Lady needed a way to keep her hat on and the Hatpin was born. 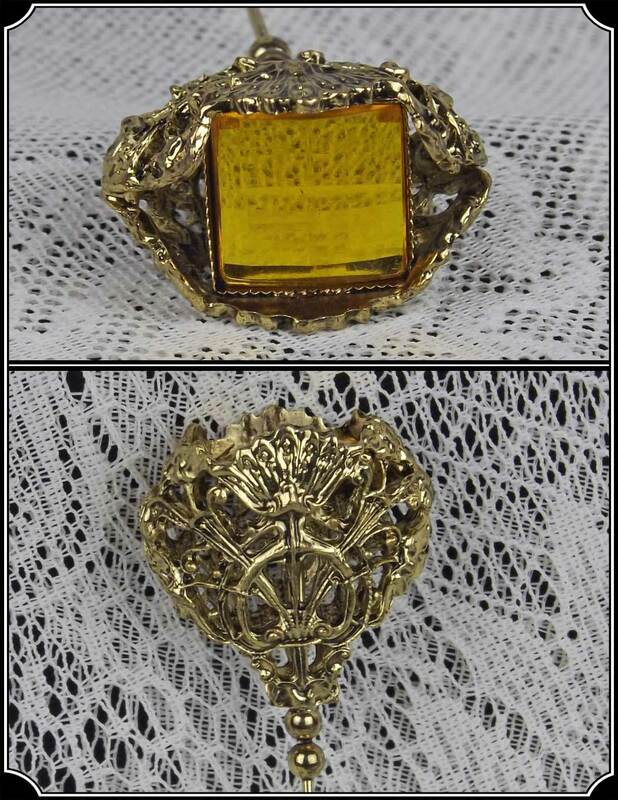 Usually elaborately decorated, these pins were as much a Fashion statement as the hats they were holding in place. 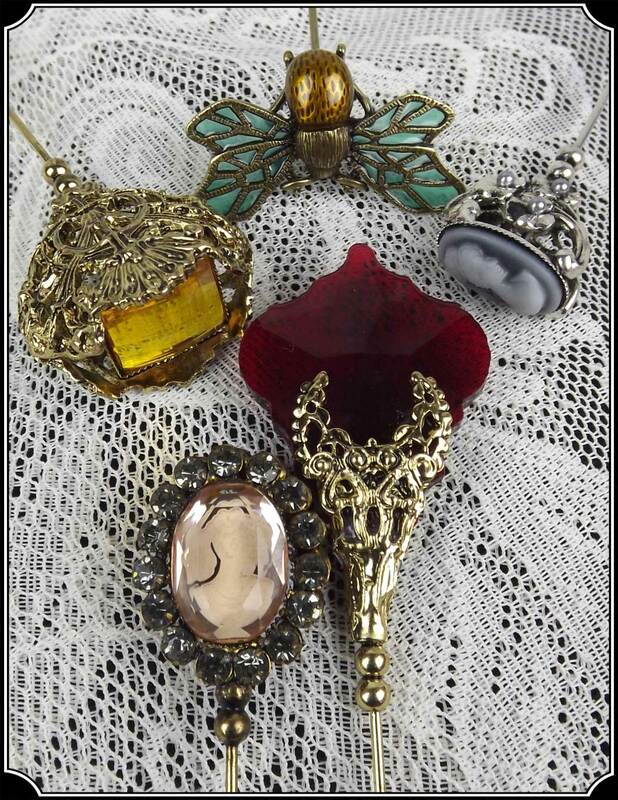 Now you can select a lovely Hatpin to add to the decor of your Victorian hats. ~Blue Grey Cameo Pin: A beautiful Replica of an antique Hat Pin. 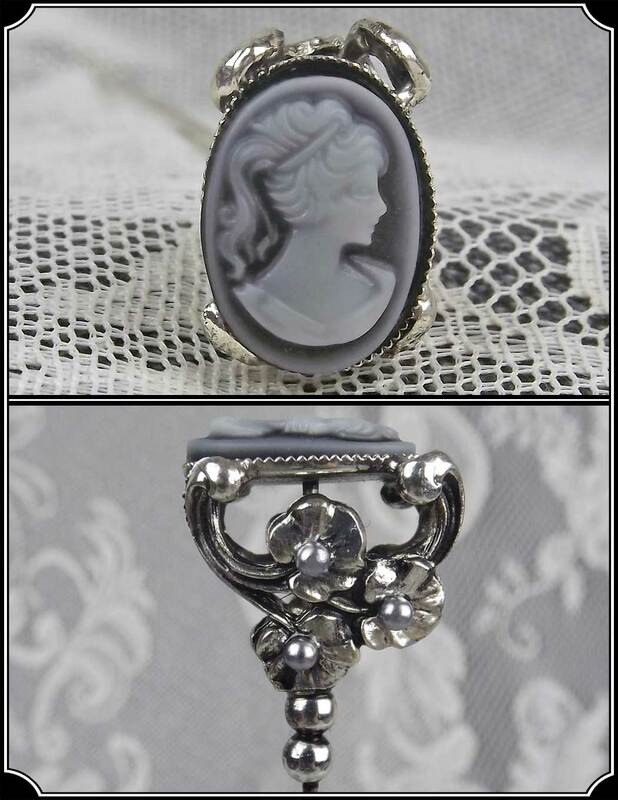 This beauty is done in silver tone with a lovely blue/grey Cameo held up by a delightful floral base. 8" long. 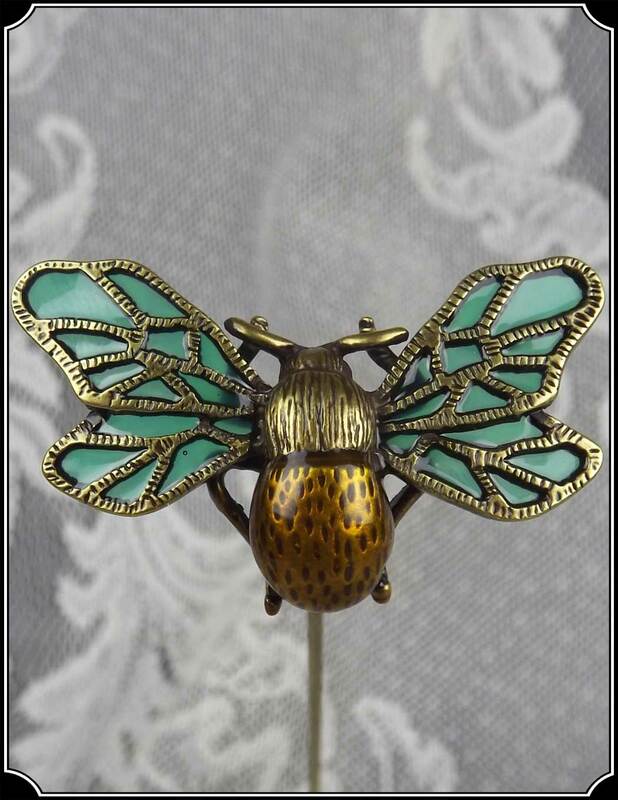 ~Ruby Spear: Century-old hat pins experience a renaissance when they are articulately cast, plated in antique finishes, and meticulously graced with hand-set crystals in a stained-glass palette. 8" long. 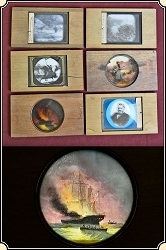 Replicated from antiques. ~Pink Intaglio Cameo Pin: Beautifully etched Cameo in Pink crystal, encircled by Rhinestones. 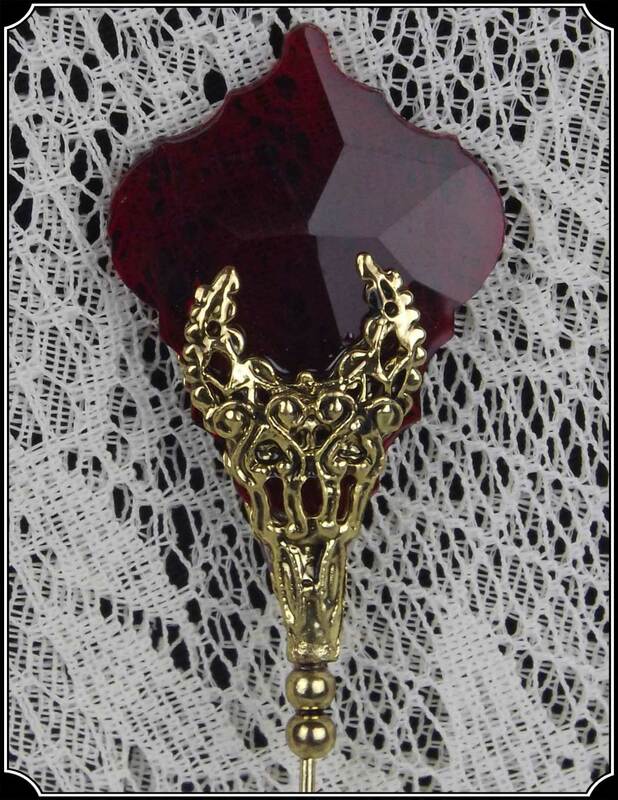 Pin is done in gold and antiqued. 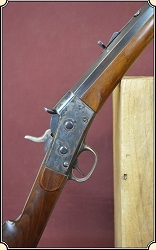 Replica of an antique. 8" long. 14K gold-plated. 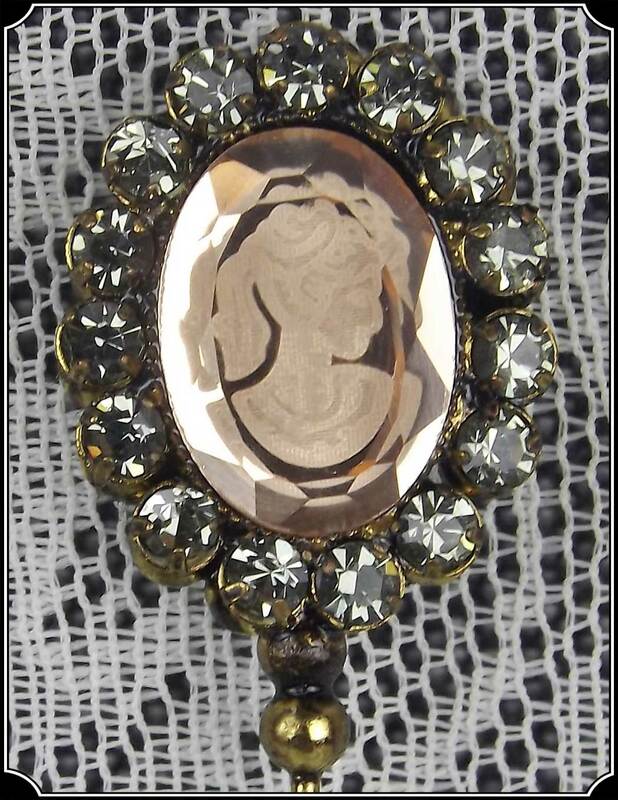 ~Brown Faceted Gem Pin: Articulately cast, plated in an antique finish, and graced with hand-set Brown Faceted crystal in a stained-glass palette. 8" long. 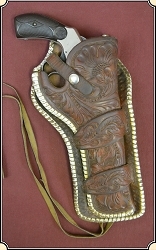 Replicated from antiques.